This is because I’ve never been more excited about a piece of furniture than this desk. 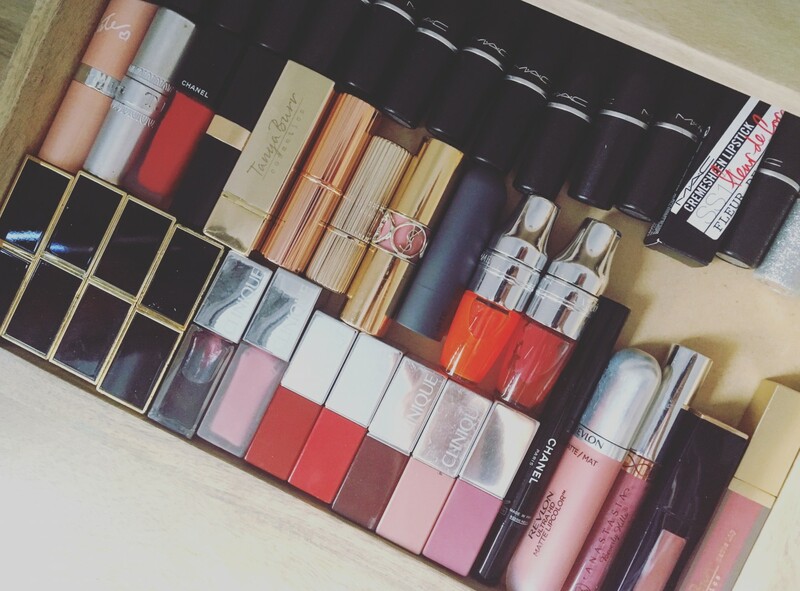 My makeup is so happy in its new home and if I see another Ikea makeup storage solution I’ll go mad. 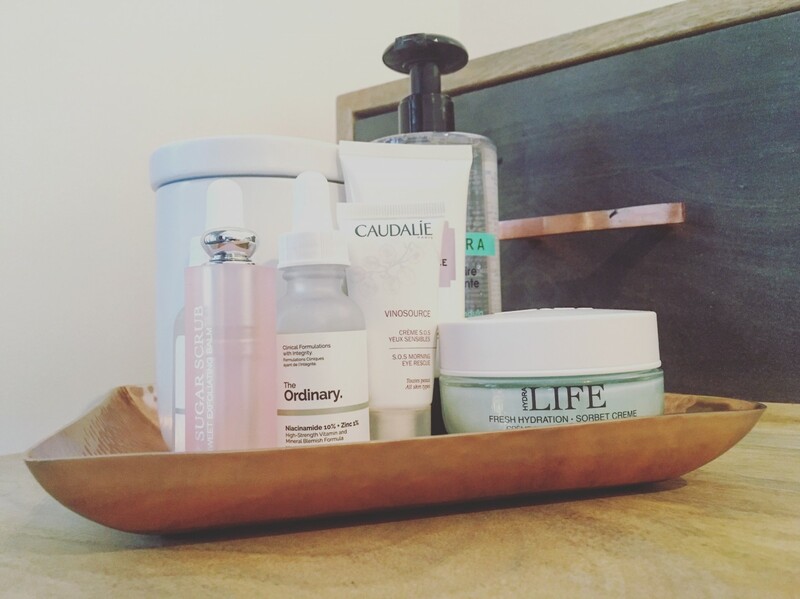 Lets start with the dressing table, or desk in this case. 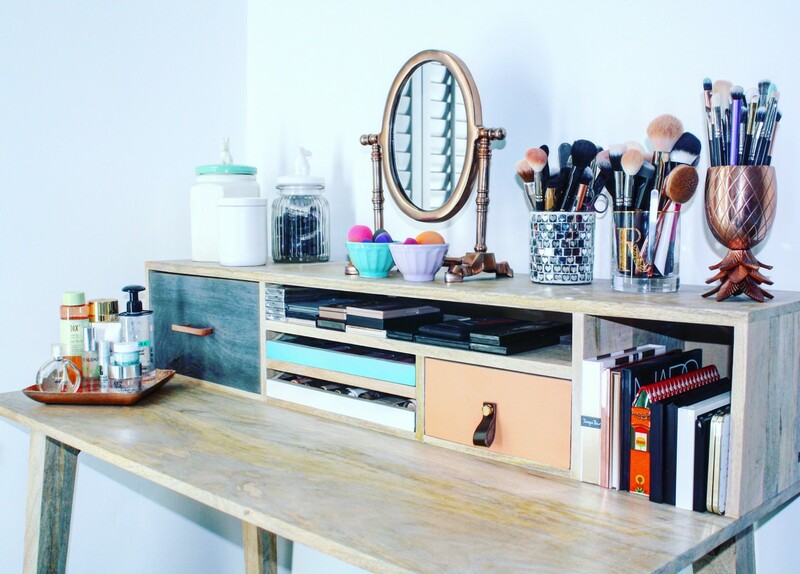 Oliver Bonas do some beautiful furniture so how can you resist a desk that answers all your make up storage prayers? The ‘Florence’ desk is perfect because there are draws and shelves and it’s quirky and pretty. 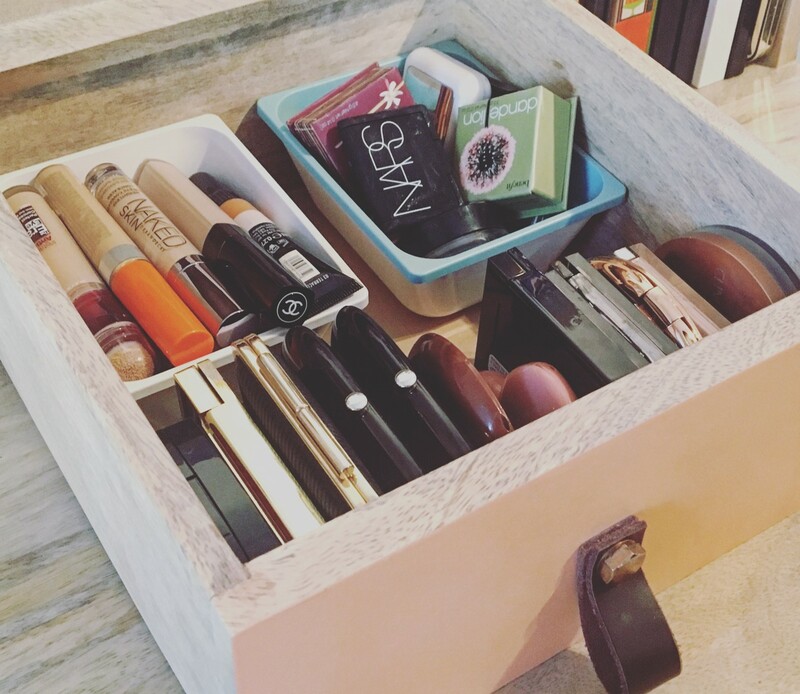 The paper draws are perfect for lipsticks and foundations. 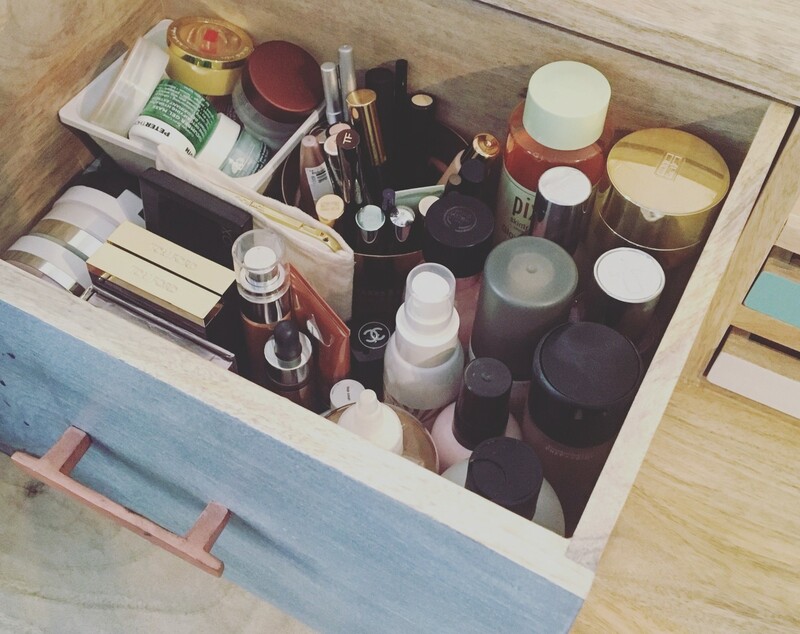 There’s a huge draw for products and just about anything else you wanna put in there. A smaller draw for well slightly smaller things. 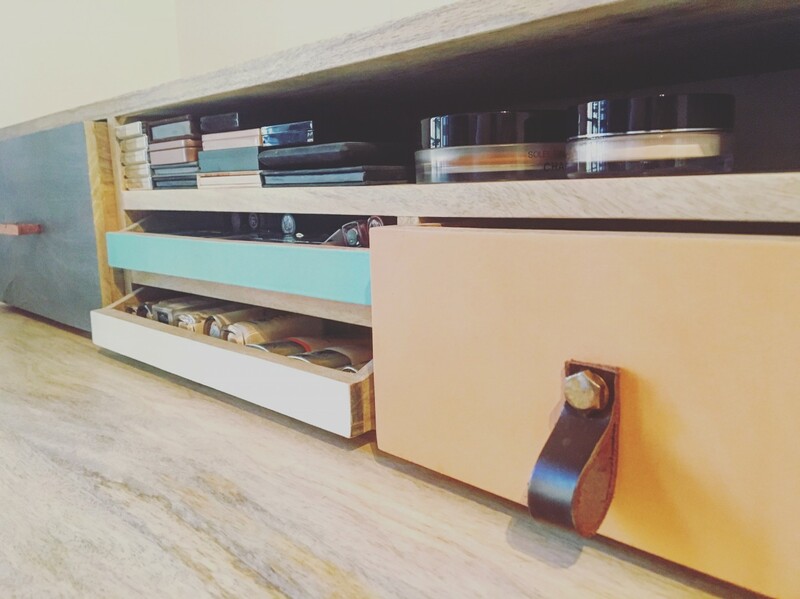 Cute cubby holes for large palettes and the key board shelf for all the other palettes. 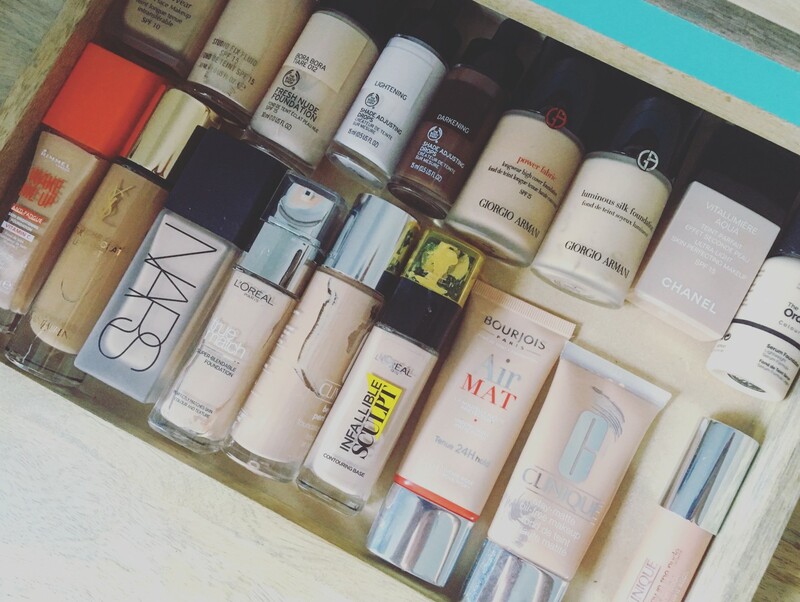 Jars – You know I have an eyeshadow addiction right? well here’s your proof. Yes these two are stuffed with eyeshadows. I know it’s shame full, especially when you see all the palettes. 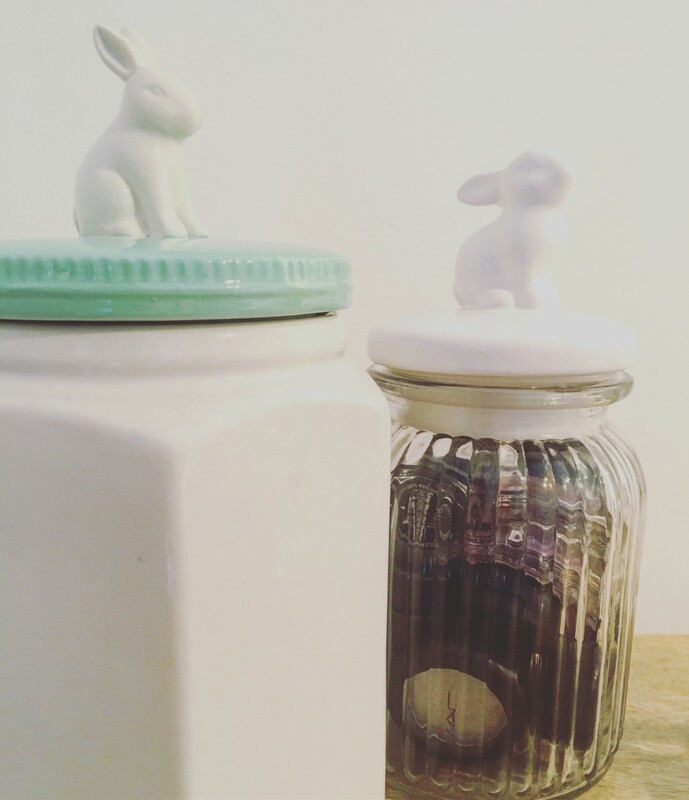 Storage jars are a god send for all those single suckers, and why not have jars with bunnies on! Ermm how cute? Bowls -Anthropology is that shop that you go in and come out with things you can’t possible find a use for. These bowls were just too cute that I couldn’t resit. 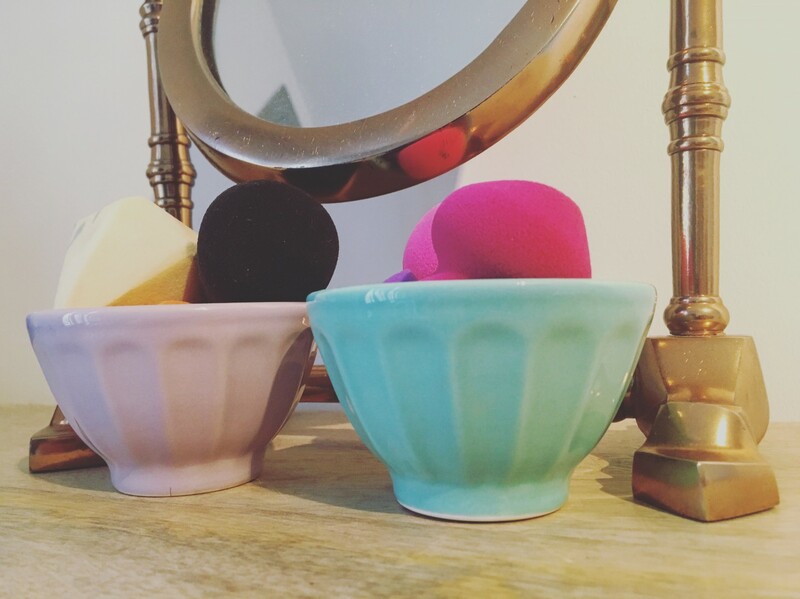 I had no idea what to use them for but some how they have ended up holding beauty blenders. Know one wants a beauty blender in a draw making everything grubby and these conveniently match in with the colour scheme. Cups – I’ve got a whole load of these going on. 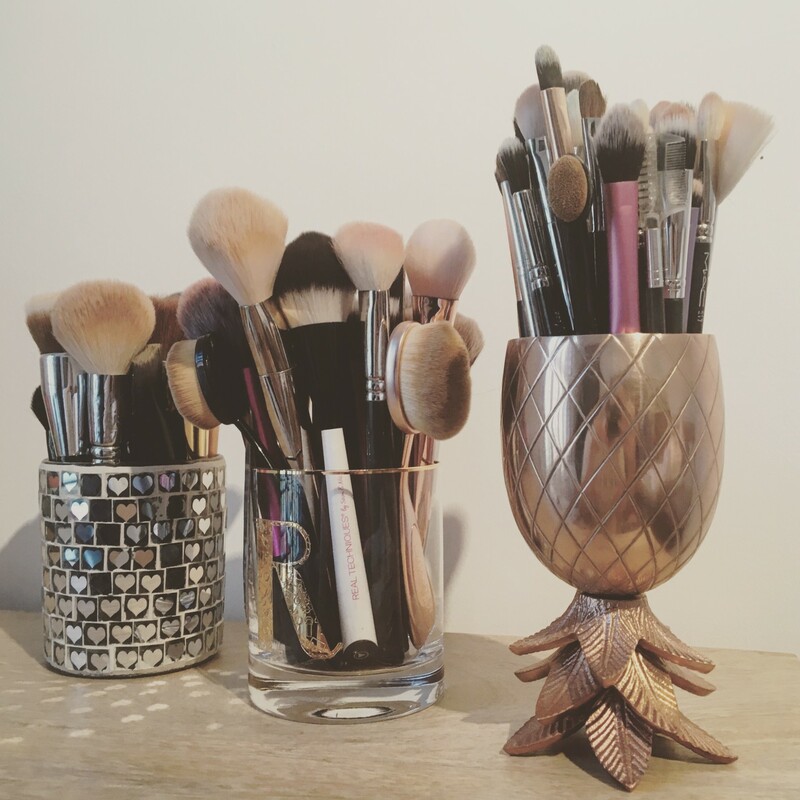 Starting with a Pineapple cup from Oliver Bonas because you can’t help but get sucked into the whole pineapple craze. More Anthropology for the ‘R’ glass. Everyone needs something with their name on right? lastly a candle holder from Next, it’s not my favourite but I’m yet to find a suitable replacement. Trays – Another Oliver Bonas purchase but they do such pretty things. 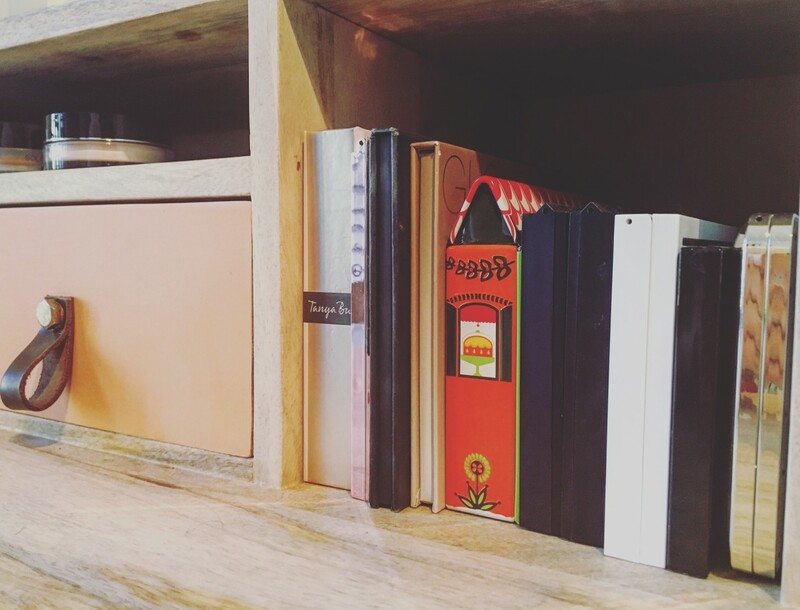 If you’ve got a wipe clean surface it may not be essential but I don’t want to ruin the wood with product so this is perfect to protect it. Plus it’s quick and easy to lift up when I want to get into the giant draw behind it.